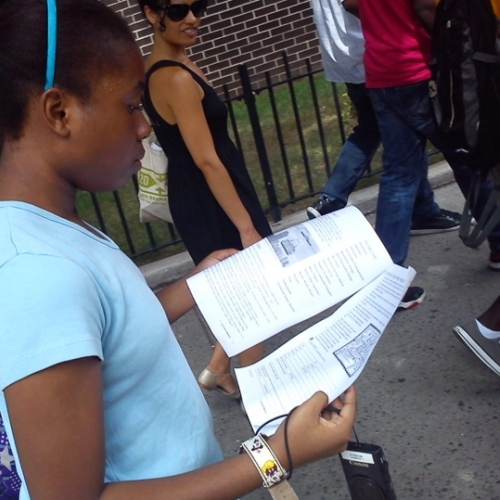 Green Mapmaking Tools for Youth inspire educators, youth group leaders and young people. 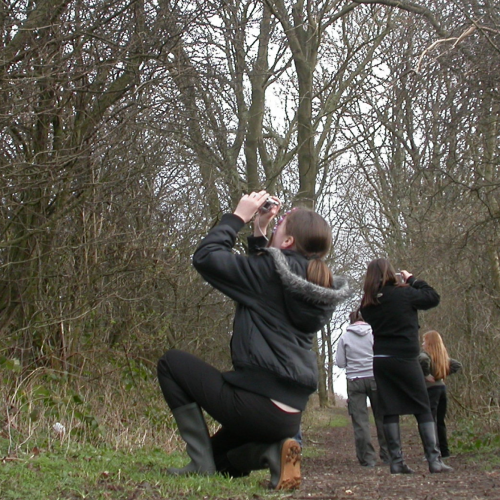 While our materials are a bit dated, they provide youth with new understandings and assessment, communications, and planning skills. For example, check out the terrific Baltimore Green Map to see how mapping, STEM (or with the arts - STEAM) and planning skills can accelerate whole-child learning and ignite a durable connection to home places. • Icon Flash Cards (from YGMS set) print this PDF on individual sheets for youth activities. 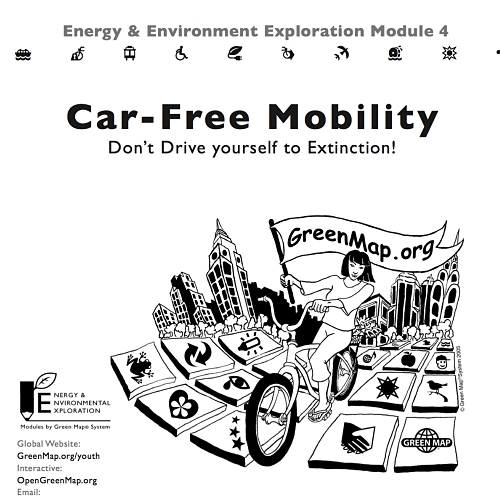 Download Tools Created by Green Mapmakers around the World! 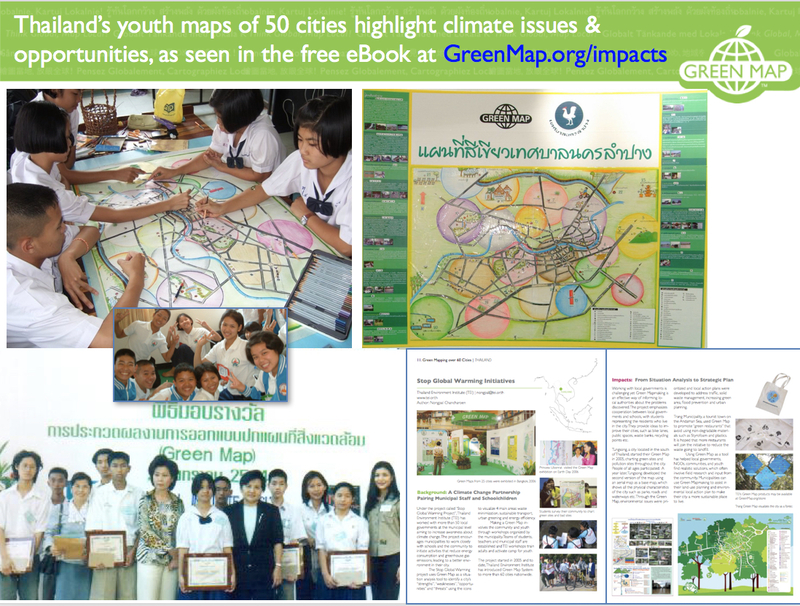 • And from the Green Map Impacts book, the Thailand story brings youth and climate change countermeasures together. • More Impacts: you'll like the Pereira Colombia story too! • And the Green Map Atlas! Check out the Robeson County NC story, and many others...!